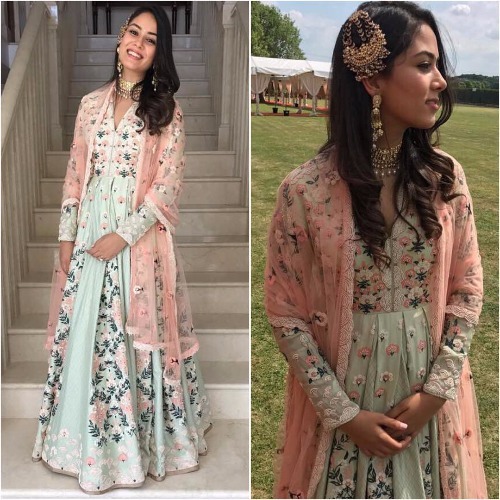 Shahid Kapoor and wife Mira Rajput make one adorable couple. The couple also have a beautiful daughter Misha, who makes Shahid go weak at the knees. Shahid and Mira are seen as Bollywood’s stylish couple and paparazzis’ favourite. From airport looks to awards night looks, we love Shahid’s dapper look and wife Mira’s elegance. 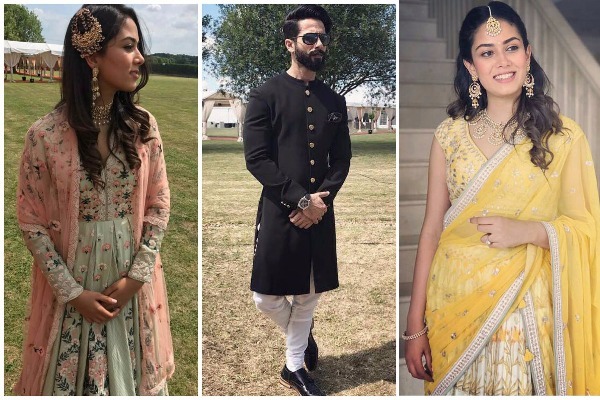 Here is another reason for us to go gaga over Shahid Kapoor and wife Mira Rajput’s style game. The couple at a wedding in London looked every bit royal. 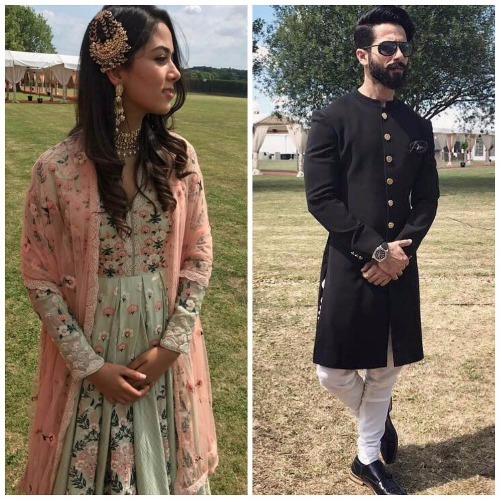 The royal nawabi look of Shahid Kapoor and Mira Rajput at London wedding is redefining wedding fashion. 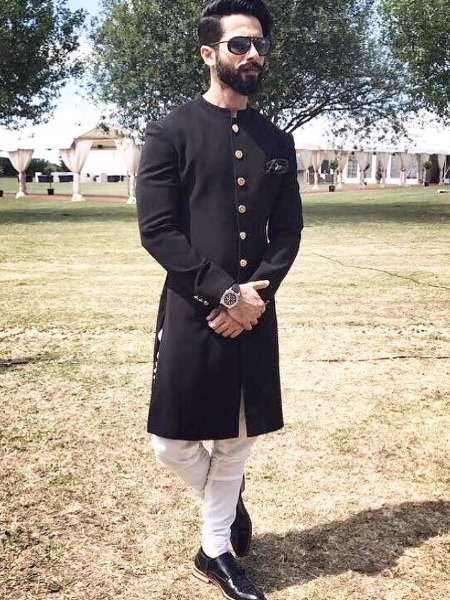 Shahid looked regal and splendid in black band gala achkan. 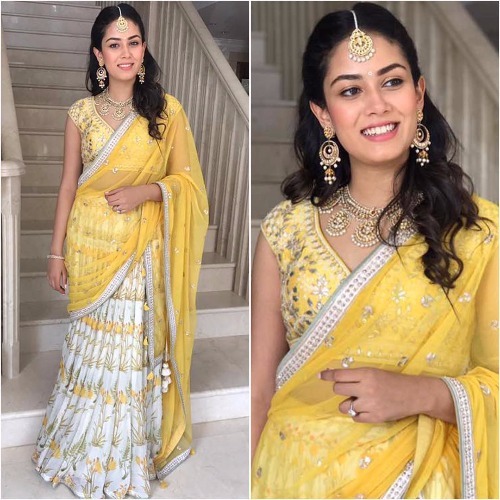 Mira Rajput spelled magic in Anita Dongre’s yellow outfit during a mehndi ceremony. 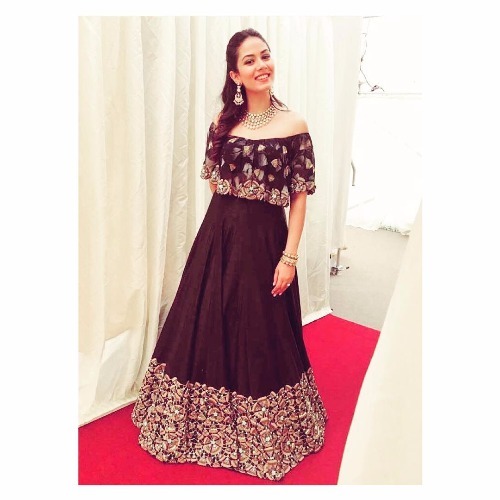 She adorned Arpita Mehta’s floor length dress yet for some other wedding ritual and black cluster lehenga for next one. She finished off her look with choker style necklace, kundan earrings and a paasa. Previous : Photos: Shah Rukh Khan’s Daughter Suhana Steals The Show, Alia Bhatt, Jacqueline Sidelined! Next : Baadshaho Trailer Out: Emraan Hashmi, Ajay Devgn Starrer Is A Crazy Mix Of Politics, Romance And Crime!